Are we playing it too safe? Maybe we have been playing it too safe? It is known that bones respond preferentially to high magnitude weightbearing loads, but most physical therapists prescribing exercise are hesitant to apply high loads to persons with osteopenia (thinning bones) or osteoporosis (low bone density) for fear of risk of injury or fracture. This study aimed to demonstrate that high intensity resistance and impact loading is both safe and effective in improving bone mass and overall physical function. What did this study do differently? 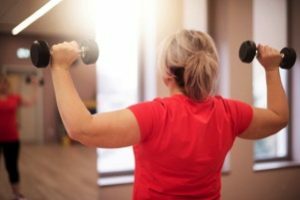 Researchers analyzed data from the larger Lifting Intervention for Training Muscle and Osteoporosis Rehabilitation (LIFTMOR) Trial on 101 postmenopausal women age 58 or older. For eight months, half of the women did twice-weekly 30-minute sessions of supervised HiRIT that included deadlifts, overhead presses, squats and jumping chin ups with drop landings. The other half formed a comparison group, and for eight months they did unsupervised, twice-weekly 30-minute low-intensity exercise at home. The graduated loading, close ongoing supervision, and focus on correct technique were key to safety and overall adherence to the program (low drop-out rate). The 2 time per week dosage was also very appealing to this demographic leading to high compliance (participating with expected dosage). All the participants had bone mineral density testing with a special type of X-ray called a DXA scan before and after the eight-month training program to assess changes in their bone mineral density (BMD), or bone health, at the spine and the femoral neck at the very top of the thigh bone that connects the long bone to the head of the femur. By the end of the study, the HiRIT participants increased BMD in their spines by an average of about 3 percent and increased hip BMD by 2.2 percent. In the comparison group, women lost an average 1.2 percent of spinal BMD and lost more than 2 percent at the hip, researchers report in the Journal of Bone and Mineral Research. The benefits of bone density improvements at the femoral neck and spine translate into stronger hips and backs. Women in the resistance group also had a 40 percent improvement in back and leg extensor strength, which helped improve their posture and reduce their risk of falls. Close ongoing supervision is key! The researcher of this study felt this demographic has traditionally been held back from high intensity resistance training for fear of fracturing fragile bone with heavy loading, but that this overly conservative approach has led to stagnation in the field. This study demonstrates preliminary evidence for safety and effectiveness of a HiRIT program for otherwise healthy postmenopausal women with low to very low bone mass. Key to the success of this program is that HiRIT training should be supervised by adequately trained and educated professionals such as a physical therapist, to ensure correct technique and appropriate progressions, as well as to minimize injuries. WE DO NOT RECOMMEND INDIVIDUALS WITH LOW BONE MASS TO UNDERTAKE THIS PROTOCOL IN AN UNSUPERVISED ENVIRONMENT, even after notable training, because it is not possible to self-monitor technique or self-prescribe dosage. Despite misconception to the contrary, high intensity resistance training can be safe and has proven to be effective in improving bone mass. 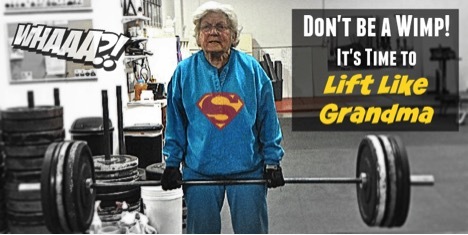 Consult your PT if you are interested in beginning a program such as this. Howe TE, Shea B, Dawson LJ, et al. Exercise for preventing and treating osteoporosis in postmenopausal women. Cochrane Database Syst Rev. 2011(7):CD000333. Warson SL, Weeks BJ, Weis LJ, et al. 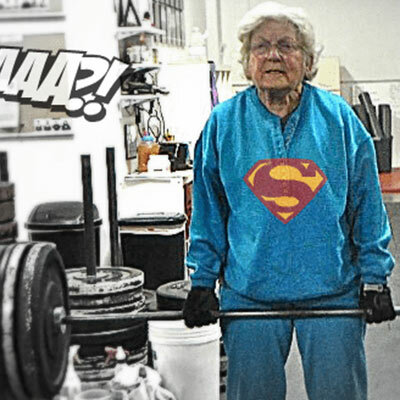 High-intensity resistance and impact training improves bone mineral density and physical function in postmenopausal women with osteopenia and osteoporosis: The LIFTMOR Randomized Controlled Trial. JBMR. 2017.